"Without the vital and skilled work of the women of Gourdon, line fishing could not have operated." 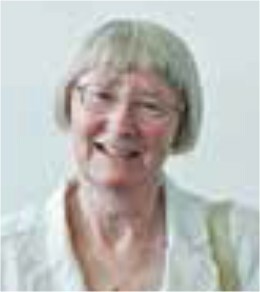 That's the crystallised message of Celia Craig's book inspired by her long-standing passion for celebrating the history of Gourdon through collated interviews, photographs and poetry. 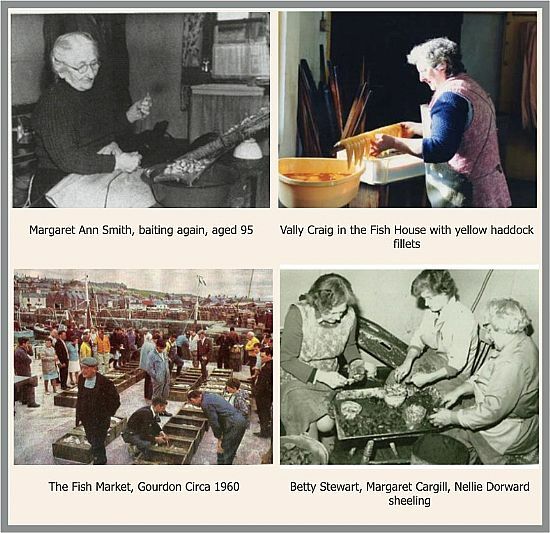 In her new publication, Celia, who comes from a fishing family, focuses on the areas of baiting, sheeling, working in the fish houses, barrelling herring, and officiating at the Lifeboat Galas - where the women of the village have long played a central role. Featuring a strong photographic element and accompanying detailed social commentary, the tribute fondly narrates the stories of a collection of hard-working women, whose everyday lives will seem extraordinary to younger readers. The full text of A Tribute to the Women of Gourdon 1837-1986 is available in hard copy from the Maggie Law Maritime Museum and other outlets in Gourdon, and from Giulianotti's in Stonehaven. The electronic version of the complete text can be read online below.